While it is not at all clear just what improvements in cycling infrastructure we will really get with the rebuilding of Christchurch many of us are interested in the outcome, and have some ideas to share. As with most things there is not always agreement. Thanks to a lot of work, some of it done here in Christchurch, we do have a pretty good idea of what people who would like to cycle want if they are to take it up. The key ingredient is safety. By safety they mean that they want to be able to ride their bicycles to where they want to go without putting their lives at risk, hardly a surprising or unreasonable request. No doubt non cyclists have a one sided view of cycling’s hazards. Looking out from a car window at cyclists kitted out in helmet and flouro and often being abused by drivers all encourages the image of cycling as dangerous. Regular cyclists and statistics show that cycling is not nearly as dangerous as it may appear. That it needs to be safer, even pleasant is obvious. Academics and policy makers have identified three groups of cyclists. The “Strong and Fearless” cyclists are accustomed to putting up with the inadequate cycling infrastructure now provided. They make the best of poor road conditions and continue to ride regardless. The “Enthused and Confident” cyclists are up to most rides but would welcome well marked, even separated on road cycle lanes and intersection improvements. The last group is the largest and often focused on. The “Interested but Concerned” are not likely to commit to serious utility cycling until a network of separated paths is provided for much of their cycling routes. This group is the largest at 30-40% of the population and research has found that they would cycle more if they felt safe. This pent up demand for cycling can help all road users, even motorists. Providing a complete network of separated paths is not likely to happen. Government has shown no appetite to commit adequate funding and there are practical problems with trying to install an alternative transport network in an established urban setting. Besides, streets do access most everywhere already and reallocating carriageway space and sharing what’s there makes sense on many levels. We can develop quite a few separated cycle networks, along rivers, railway lines and coastal frontage. These can be connected together by traffic calmed local streets with reduced speed limits. The current plans to have cycle networks share major arterials with cars, trucks and buses may be tolerated by the strong and fearless, but is not likely to encourage anyone. What is clear is that all of us will need to insist on support and funding for better cycling infrastructure. Personal preferences aside, if the infrastructure is not inherently doomed to disappoint, it is likely worth supporting. Forward looking governments and academic researchers have been busy looking at what is being done to meet all road users’ needs. They have also been looking at how we can get people free of their cars. The “Complete Streets Policy Workbook” addresses the need for local governments to adopt policy which will achieve real transport choice for all. They found that complete networks for all modes are key. Building a few model streets may be good for publicity, but if it fails to meet actual needs it will only disappoint and discourage. With all the talk of streets for people in the Central City Plan the Australian Cycling Resource Centre’s Shared Zones report is of special interest. They found that such zones are of limited application, where pedestrian numbers are very high and speed limits are no more than 10km/h. Road markings, kerbs and gutters are eliminated and the chaos necessitates care and cooperation. This can be a good approach for a high street with footpath cafes, a street scene and alternate routes provided to allow vehicles and bicycles to avoid it. Bicycle Boulevards are a great way to deliver people friendly streets which also offer pedestrians and cyclists safe pleasant routes. Bicycle boulevards meet peoples’ need for safe spaces in which to live, work, commute and shop. Traffic is calmed by 30km/h speed, intersection treatments and signage. Cyclists can safely use existing roads, thereby saving on costs and perhaps generate political support for this win-win solution. Other benefits include increased patronage of local merchants and enhanced real estate values. People are willing to pay more to live in a people friendly neighbourhood. This approach is also known as Local Street Bikeways, Bike/Walk Streets, and Bicycle Priority Streets. The actual approaches used, cycle lanes on the inside of parked cars, on the outside of parked cars, no parked cars, off road, on road, intersection treatments, etc are touched on in this report commissioned by the NZTA and written by University of Canterbury researchers. Their findings from the literature, from surveys and from focus groups can help us understand each other and perhaps even learn to work together in lobbying for better infrastructure. Would be cyclists want a comprehensive easy to use network of cycle-only paths, with special provisions made for cyclists at intersections. Good end of trip facilities such as covered secure parking, lockers, showers, repair options were also cited. People also understand that efforts to educate all road users in how to safely use new infrastructure, how to behave, will be required. Some readers may scoff that government will never fund infrastructure at this level. Politicians will simply reject all cycle funding as it is simply too expensive to create a safe cycling environment. 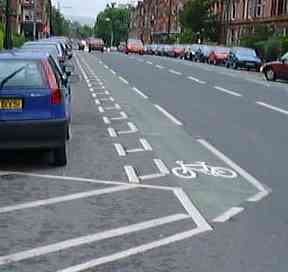 We saw this with the Christchurch City Council ban on new cycling infrastructure during the mid 2000’s. But this is what would be cyclists want, and there are a lot of them. Results from the study found that over 30% of non cyclists are open to cycling. It is not unreasonable to think that this number would grow if cycling were actually supported. Reminding would be cyclists of this desire come election time will be important. The bottom line is safety. 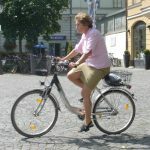 Safe Cycling for All ages and Abilities is what is required. Gil Penelosa, the former Director of Parks and Recreation in Bogota, Columbia describes ‘8 – 80 cities’, the idea being that if we build communities that suit 8 and 80 year olds then they will suit everyone. We need Rides of Neighbourhood Significance, not Roads of National Significance. This report is a good source for links to the health, local economic, pollution reduction and community benefits of cycling. It provides citations which offer insights and details on many of the infrastructure approaches being used worldwide. Achieving the goal of high quality comprehensive cycling infrastructure is going to take all of us. While there are many possible approaches and solutions it will be important to strongly support all that are not clearly doomed to disappoint. No doubt we will need to build on, or even around, some solutions. Having some in place can help more people take up cycling. With their new found freedom and skills they will likely develop experience and confidence to demand more and to know what they need. Should I get the comments to indicate an interest I will explore cycling infrastructure in more detail in a future piece. I for one would appreciate more on infrastructure options. If we can get a consensus it strengthens the case for action. The feedback for the Christchurch Transport Plan shows that there is a wide range of ideas.out there. Thanks for sharing this Jim. Refreshing ideas and good to see there is overwhelming support for cycling amongst submitters.